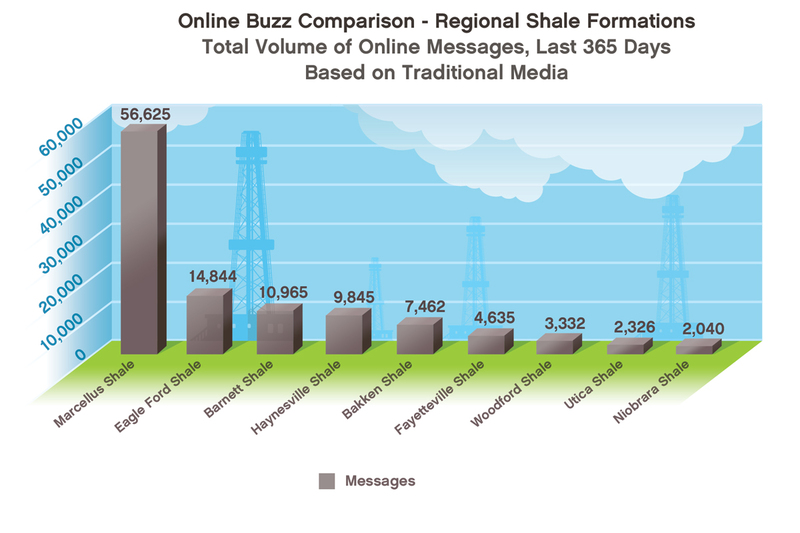 We’ve gotten a lot of feedback since we posted our first study on public opinion about Marcellus Shale development. We recently expanded on that analysis and took a closer look at how Marcellus Shale scores in sentiment in traditional and social media. Here’s what we found. ARDMORE, Pa.–(EON: Enhanced Online News)–A recent survey of Marcellus Shale public opinion, conducted by Gregory FCA and GoMarcellusShale.com, reveals that this vital source of domestic clean energy continues to take a public opinion thumping as traditional media reporting turns negative toward development of natural gas in the Appalachian Basin. The study, which includes sentiment reporting by energy type, development method, and company players, is available for download. 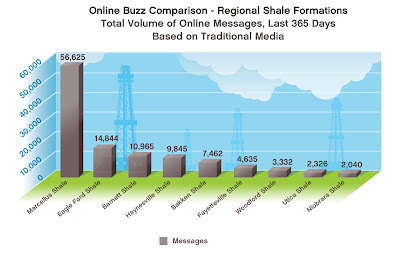 The study — which used Nielsen BuzzMetrics to cull more than 45,000 traditional media sources and over 150 million social media sources, including blogs, blog comments, message boards, forums, Facebook and Twitter — shows that the interest in Marcellus Shale by the media and general public is immense, drawing some 56,625 comments over the past year, more than the online and media interest shown in the eight other major shale plays throughout the United States. While the interest is intense, the public sentiment toward Marcellus Shale development is exceedingly negative, compared to other shale plays. In fact, in traditional media, Marcellus Shale proves to be a lightning rod for negative press reports, with a positive sentiment of only 1.1 on a 10-point scale with five being the most positive sentiment and negative 5 being the lowest sentiment. As a point of comparison, Niobrara and Bakken Shale plays scored positive sentiments in the traditional media over the past year, with 5 and 4.5, respectively. Only the Utica Shale play scored more negative sentiment in traditional media, with a negative 1.5 sentiment in traditional press. 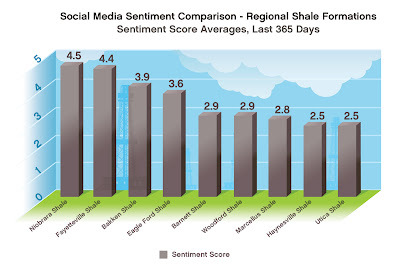 Interestingly, Marcellus Shale showed higher public sentiment in the digital domain, scoring nearly double the positive sentiment in online comments — a positive 2.8 sentiment in social media compared to 1.1 positive sentiment in traditional media. At the same time, sentiment in user-generated content-social media-is nearly twice as positive than comments and reporting in traditional media. Conversely, industry groups may have found an effective way of countermining traditional media reporting. What is not so clear, however, is whether more positive online sentiment will eventually affect traditional media coverage and convince reporters and editors that domestic, clean energy, if developed responsibly, represents a major energy advance for America.